If you’re a bride planning a wedding anywhere even close to the Los Angeles area, there’s an upcoming event you don’t want to miss – Unveiled! On Sunday, March 27, 2011 from 11am-3pm top Southern California wedding professionals will join up to showcase their products and services at Unveiled – right there in the street on fabulous Melrose Place UPDATE: the location has been moved to Beverly Cañon Gardens in Beverly Hills – and Junebug is thrilled to be a sponsor of this fun event. Last year’s Unveiled roster included lots of Junebug member businesses we love like Monique Lhuillier, Carolina Herrera, Kirstie Kelly, Mindy Weiss, Cassandra Santor, Fiore Beauty, Terranea Resort, Fantasy Frostings, 24 Carrots Catering and La Tavola Fine Linen, and this year’s event is sure to be equally packed full of talent! 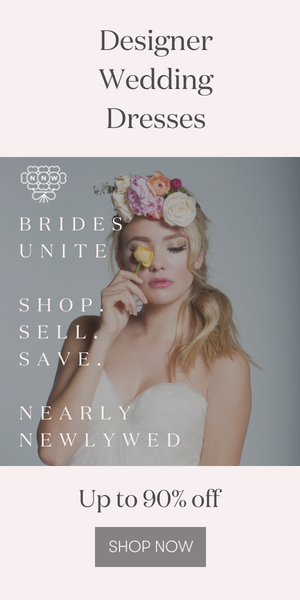 Watch What Junebug Loves between now and March 27th for more information about all the amazing businesses taking part, and LA area brides don’t miss our ticket giveaway next week! I think the turquoise blue colour is gorgeous for a wedding!